For those of you who are following my progress of the Linear B Ancient Scripts here is my final results for Levels l and 2 More to come later. When in England I walked Offa’s Dyke many times as it was very near to where I lived, so I was surprised at the recent news stating that archaeologists have uncovered evidence which suggests that Offa’s Dyke may have been built up to 200 years earlier than previously thought. Samples from Clwyd-Powys Archaeological Trust excavations on a stretch of the dyke have been radiocarbon dated to the second half of the sixth century .Historians have always associated the dyke with King Offa who ruled the kingdom of Mercia in the eighth century. But now archaeologists believe it might have been in use before he ruled. The trust explains it was a tremendously exciting discovery”. The excavations were taken from a section of the protected ancient monument at Chirk near the Shropshire border. 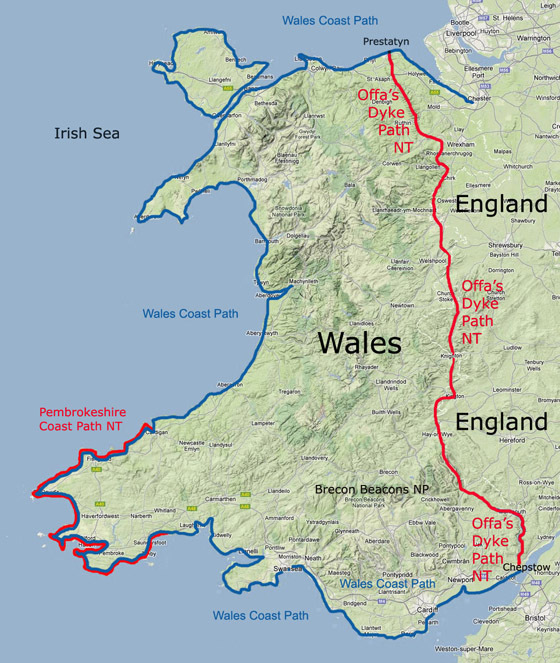 Map showing Offa’s Dyke Path. Along the Dyke in the surrounding Forests. It had been believed that the linear earthwork stretching l77 miles (285km) was built by King Offa of Mercia during his reign between 757 and 796. However there has been no firm archaeological evidence to support this.But now the trust claim that accurate scientific dates have been obtained from Offa’s dyke for the first time. The trust said that the dated material came from an ancient layer of re-deposited turf underneath the bank suggesting that this material was laid down as part of the construction process. The importance of this tremendously exciting discovery means that we must re-think some of our assumption about this monument”, said Paul Belford, the trust director, ” Certainly the dyke was built to make a statement about the power of the kingdom of Mercia”. Carbon dating tests revealed a 95 percent probability that the Chirk section of the dyke had been built between 480 and 652 It is now likely that parts of the dyke system was in place before Offa’s time but it is also likely that he would have consolidated the existing network into what we now call Offa’s Dyke”, said Mr Belford. It is now clear that it was not the work of a single ruler but a long term project that began at an earlier stage in the development of the kingdom. 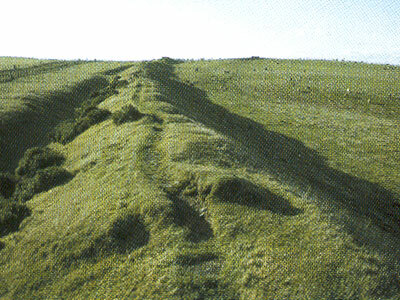 Offa’s Dyke is the longest linear earthwork in the U.K., and one of the longest in Europe. 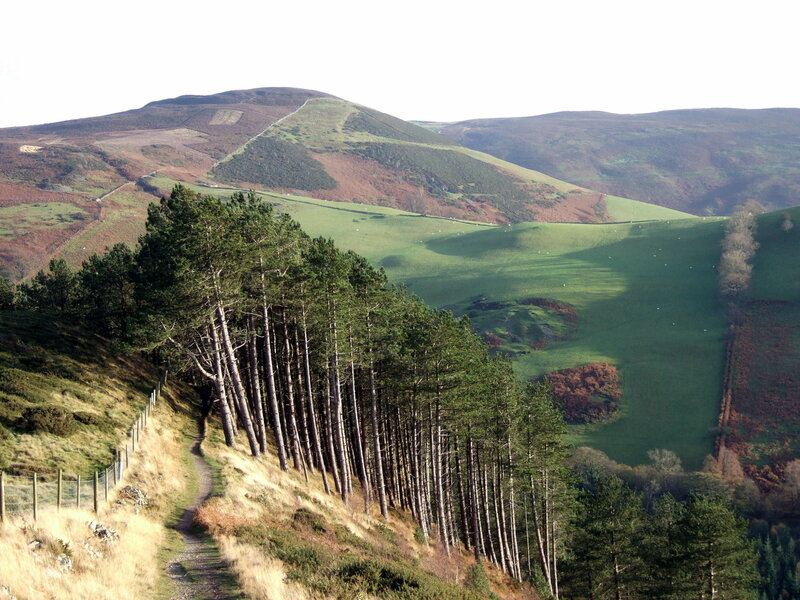 The modern border between England and Wales closely follows much of the route of the dyke. Of course these samples are only from one section of the dyke and further work is needed on other parts of this enigmatic monument before anyone can say who built it and why. 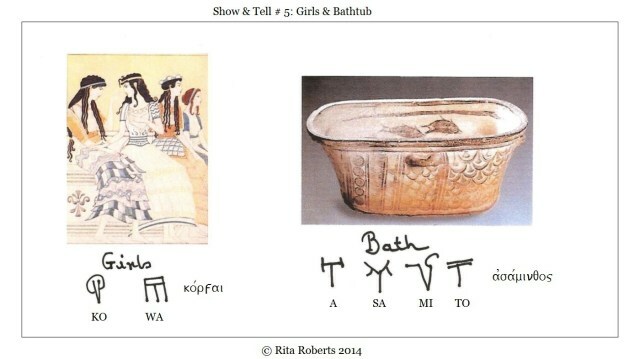 As my fellow blogger friends already know that I am studying to read and wright Linear B Ancient scripts. Here is a re blogged post from my teacher which explains more about this course which is a fascinating subject indeed. This is a post about my progress of the Ancient Srcipts I am studying, some will be fun ones such as this with pictures and translations. You will need to click on the original source to see the full post. During the winter months there isn’t much to do here in Crete as most Museums and tourist shops are closed. Now spring is here everything comes to life and tourists begin to arrive. So John and I decided to go to the Archaeological Museum of Siteia where there is a renewed Exhibition. We were especially interested as John and I had helped with conservation of some of the vessels displayed in the museum, while at the Institute for Aegean Prehistory Study Center for East Crete. The Archaeological Museum of Siteia, like all the local museums of Greece constructed in the 1980’s employed an object-orientated display program. Over the years, the need for re-evaluating the exhibition was expressed. The idea matured into a necessity to upgrade the existing objectives of the exhibition, and to bring them into accordance with modern museological data. 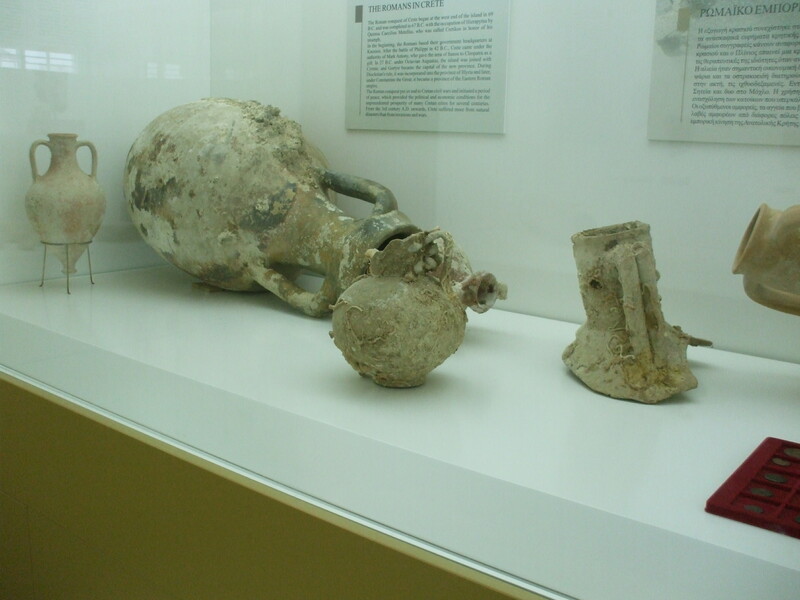 Thus, it became imperative to restructure and enrich the exhibition in order to a) highlight the many significant finds that have emerged from recent excavations in the areas of Siteia, and b) provide comprehensive to the visitor, creating both a pleasant museum experience, and setting the foundation for educational programs and other activities. A combined approach was adopted for the purposes of the ” re-exhibition ” A concept- orientated model organizing the archaeological material was blended with the tradition object-orientated approach, which organically connects the thematic and chronological sections , and at the same time encourages the development of notional correlations attractive to the museum visitor. In brief, the underlying concept of the re-exhibition of the Archaeological Museum of Siteia can be expressed as, Siteia from Prehistoric to Roman times through the excavated remains”. Each display section follows the chronological and developmental progress of the civilization in the area of Siteia and the wider region, integrated and presented within time periods in individual thematic sections and subsections. The Prehistoric sections utilize the dating system developed by Nikolaos Platon in 1966 and published in Archaeologia Mundi. His chronology is based on the development of architechtural complexes frequently called palaces in Aegean Bronze Age periods (such as the Prepalatial period. the Protopalatial period etc. )This gave us the opportunity to display the changes and evolution of the urban environment throughout the specific phases. The opportunity to realize a renewal of the Siteia Museum exhibit was due, in part, to the large project of expansion and re-exhibition taking place in the Archaeological Museum of Hagios Nikolaos. The old display cases from the Hagios Nikolaos Museum were transported to the Siteia Museum and were adapted to fit the needs of the new museological and museographical study of the museum. The process of renewing the exhibition in the Archaeological Museum of Siteia is not yet complete. The creation of informational signs and the labeling of objects are in progress and should be finished in the coming months. Even though the new exhibition was not yet complete John and I found the new Siteia Museum delightfully light and the displays well set out with plenty of room to walk around each of the many artifacts and display cabinets. We look forward to visiting the Siteia Museum again. No doubt our colleagues at the Instap Study Center will let us know when all is complete. 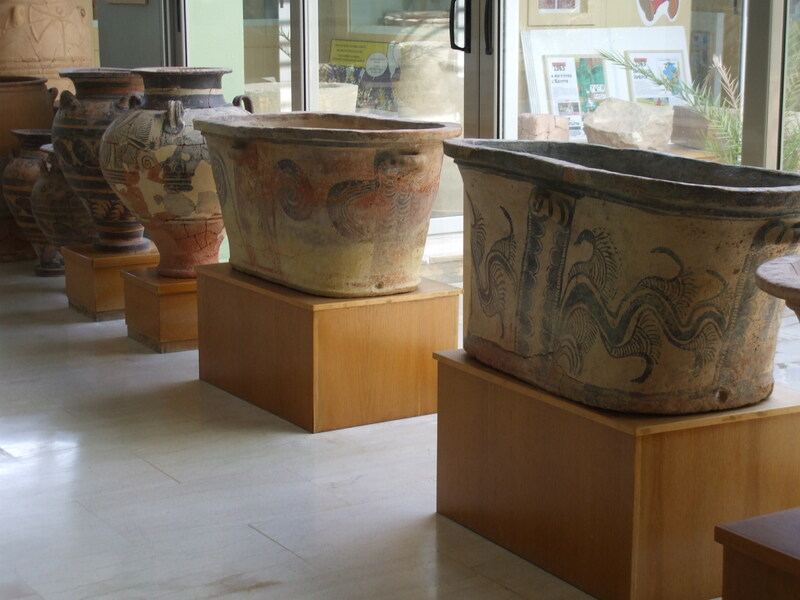 Minoan Bathtubs and Storage Jars. 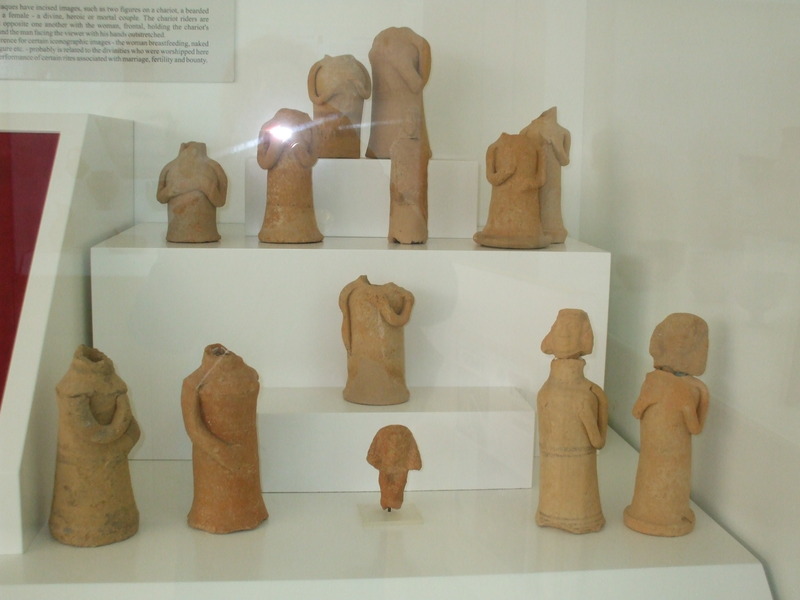 These small figures are connected with worship.